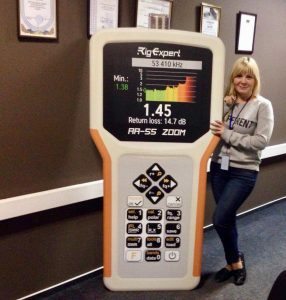 What is it: a foozle of an operator or a great love of RigExpert product? New antenna&cable analyzer RigExpert Stick already at QST May issue! China International Import Expo 2018! Workshops in the Rig Expert Ukraine Ltd. office! Now our analyzers and interfaces are officially used on ALL continents, including Antarctica!! !